It can be incredibly difficult to find a new home. 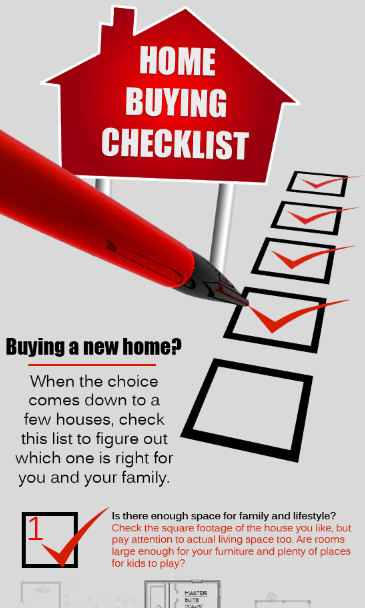 There’s a wide market out there, and excellent houses don’t last very long, so here is an infographic by Henderson Properties with a home buying checklist so that you aren’t overwhelmed when the time comes to finally look at a house. This list will help you make a smart, well-thought-out purchasing decision. You can also use the list to compare homes if you’ve found a few that you’ve fallen in love with and can’t quite make a final decision. Have you thought about the closet and storage space? While you’re focusing in on the number of bedrooms or bathrooms, you might not think about garage size or walk-in closets. How about utility condition and maintenance costs? Our list makes sure you keep more than just the base price of a home in mind. Don’t forget about the exterior—from the home materials and yard size to the type of neighborhood you’ll be moving into, our list has it covered.